H. S. and Co., 1885. 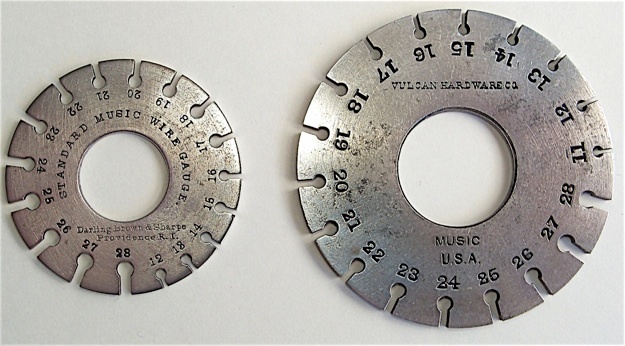 Smith music wire gauge. 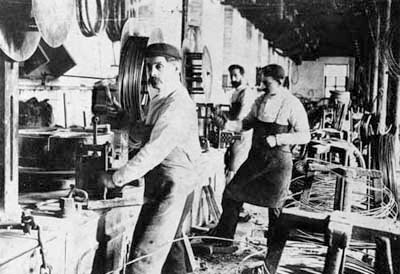 Warrington, UK, was a center for general steel wire making in the 19th century, and through much of the 20th century. 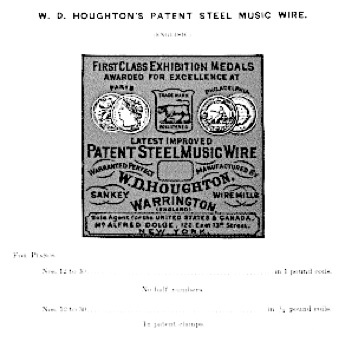 Houghton’s music wire, was also made in Warrington. This gauge is dated 1892. 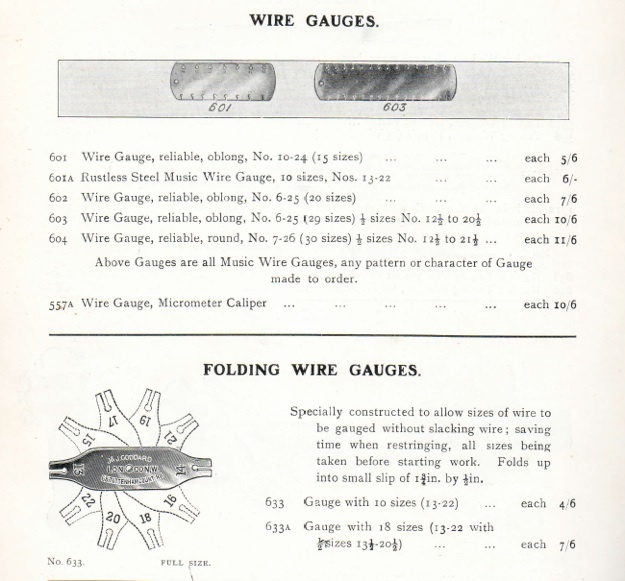 Smith music wire gauges, offered in the 1929 Hammacher Schlemmer catalogue. 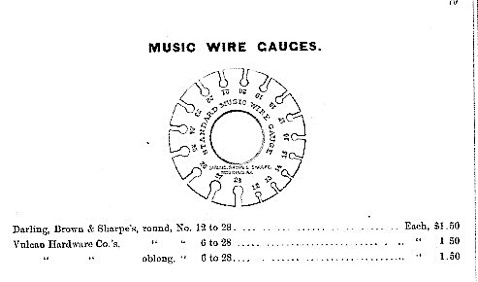 Houghton music wire, featured in the Alfred Dolge Catalogue, 1892. Wireworkers in the Ryland works in Warrington, UK. Photo courtesy of the Warrington museum. J.& J. Goddard piano and harmonium suppliers, established in 1842 and operating from the 68 Tottenham Court Road, London until 1968. Their signage is still up on their old building. Goddard’s line of gauges, c. 1920. The folding gauge looks handy. “Should measure,” are the operative words here. There are actually significant differences between the wire sizes of various nineteenth century string makers, despite the fact that they used the same gauge numbers, which present- day restorers of historical and elder pianos are well aware of. 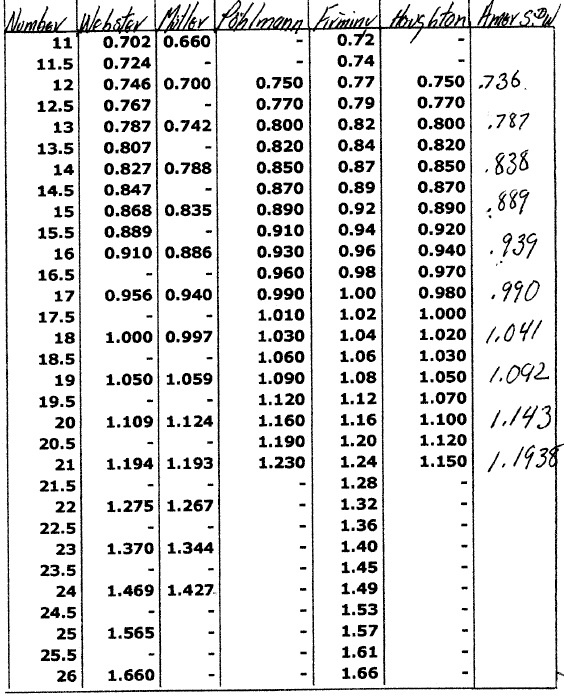 This is a chart of wire sizes as measured by Puresound, makers of stainless steel wire for early 19th century pianos. I figure that it could be considered a snapshot in time, as there was likely variation between batches of string within a string maker’s output. I added the sizes for American Steel and Wire. 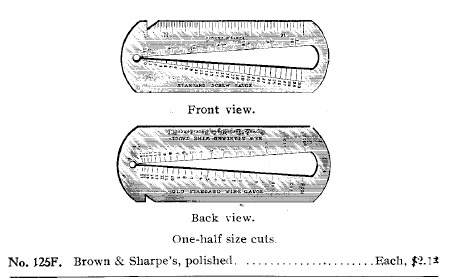 Two earlier types of wire gauges as shown by Sievers in 1868. A slip style and an adjustable gauge. 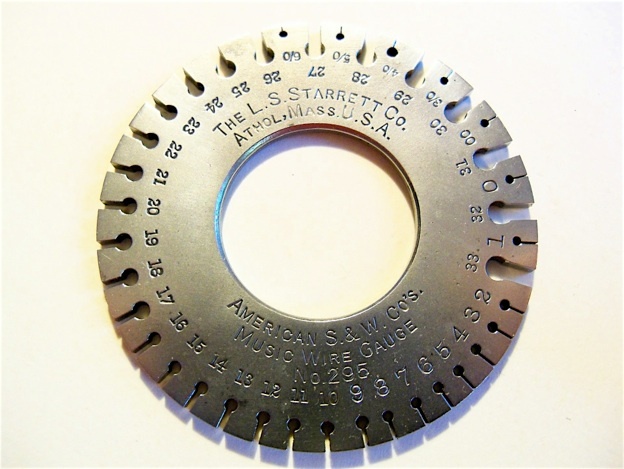 These types had advantages over the slot and hole types in that they showed increments between indicated sizes. The slip style is still used for measuring universal bass strings. 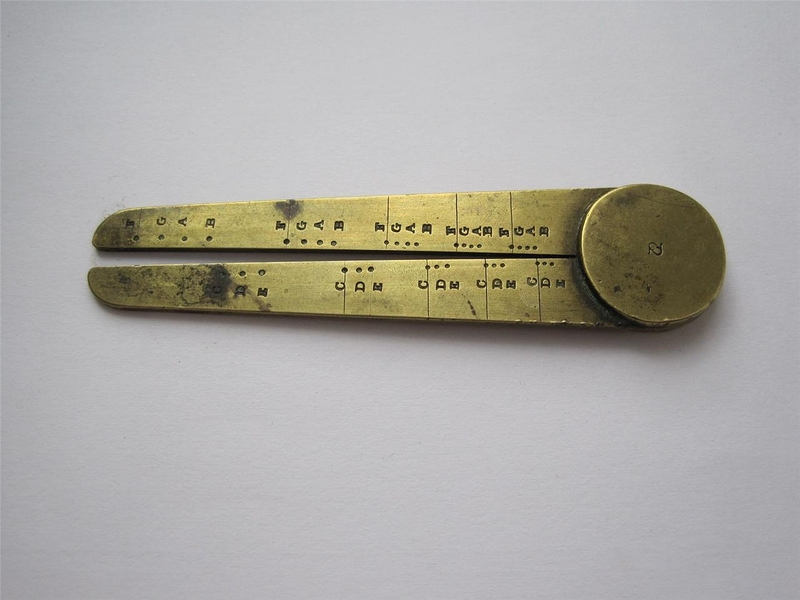 Antique piano wire slip gauge. Slip gauge for music wire, sold by George Buck, 245 Tottenham Court Rd. London, c. 1840-1860. Brown and Sharpe slip gauge for music wire and screws. 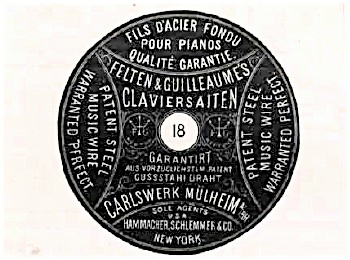 Felten & Guilleaume, or “Hammacher Schlemmer Standard” music wire gauges, as sold in 1929. 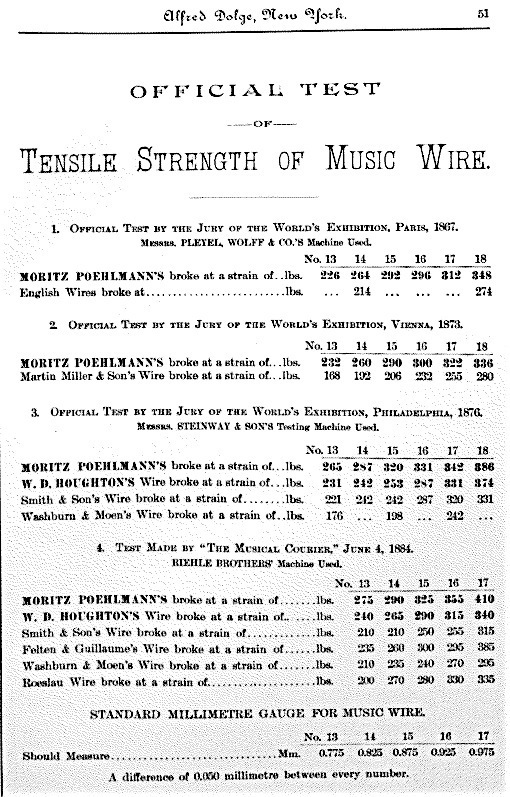 Poehlmann’s music wire. 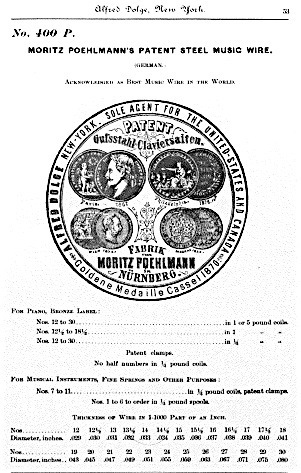 Poehlmann was a dominant wire maker in the second half of the 19th century, and Alfred Dolge was their exclusive U.S. agent for some time. 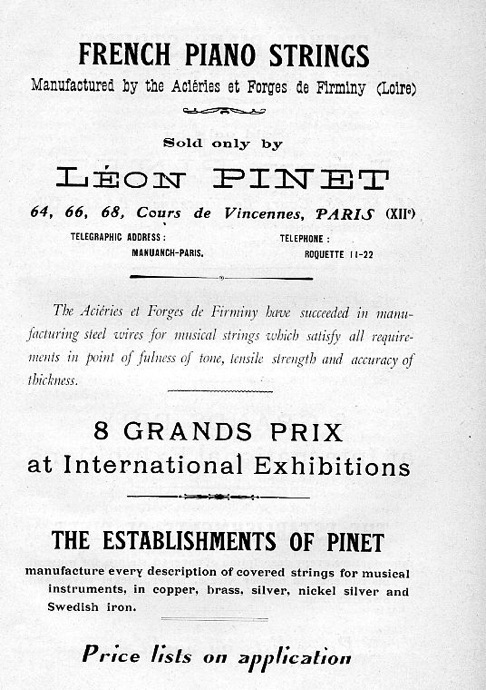 Firminy music wire was used by many French piano manufacturers, such as Erard, Pleyel, Gaveau, and the smaller makers, during the late 19th century, into the 20th century. 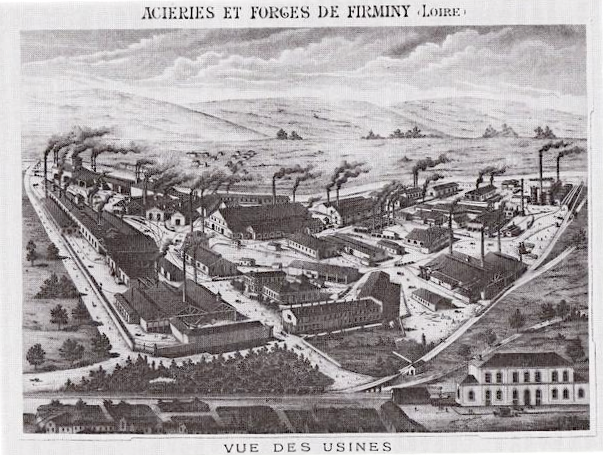 Music wire forges at Firminy.